As baby boomers across the country get older and reach retirement age in droves, many of them are facing elder care issues that will affect them as they age. For baby boomer pet owners, the realization that they might one day not be able to provide their pets with adequate care is a worrying idea. 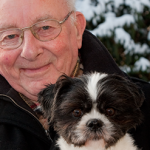 To get a better idea of what you might have to worry about when it comes to elder care and pet planning in New York, there are several issues you will need to consider. According to the Humane Society of the United States, just over 45% of all American households have a dog, while nearly 40% have a cat. Regardless of the type of pet that you have, you know that animals can cost a lot of money. Even routine veterinary visits, grooming expenses, and food can be significant. After you retire and begin living on lower income, you have to begin paying much closer attention to these types of expenses. 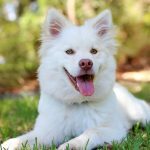 This is especially true given that animal health care can be a significant expense if, for example, your pet suddenly develops a significant medical problem. If you haven’t already done so, you need to take pet expenses into account as you develop and continue to manage your retirement and financial plans. Every pet owner knows that your animal companion provides you with love, affection, and a fuller life. Multiple studies have shown that people who regularly interact with pets have lower blood pressure, reduced stress levels, and are less likely to fall victim to depression. When compared to non-pet owners, pet owners have a much lower self-reported rate of loneliness and isolation. Yet the emotional and psychological boost pet owners experience is not the only issue you will need to consider. The Centers for Disease Control and Prevention reports that about 85,000 people per year suffer injuries resulting from a fall caused by a cat or dog in the home. As people get older, falls are a significant source of injury. Elderly animal owners need to balance the risk of suffering a fall-related injury because of their pets against the benefits such pets provide. Many seniors, at some point in their life, will have to transition into a nursing home or elder care facility. Most of these facilities do not allow for private pets, and transferring to a nursing home requires animal owners to find alternate arrangements for their animals. Planning for such possibility by, for example, creating a pet trust, is an essential step as you get older as you don’t want to have to worry about finding a new home for your animal companion if you should need to move to a nursing home.